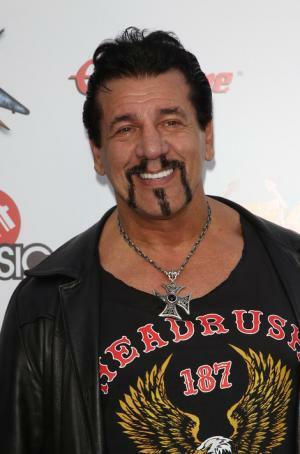 Charles “Chuck” Carmine Zito, Jr. was born on the 1st March 1953, in New York, USA, and is a man of many talents and interests, known to the world as an actor, stuntman, boxer, and as well as the president of the motorcycle gang Hells Angels in New York. His career has been active since the early 1990s. Have you ever wondered how rich Chuck Zito is, as of mid-2016? According to authoritative sources, it has been estimated that Zito`s net worth is as high as $2 million, an amount earned through his various careers. Son of a professional boxer, Charles Zito, Sr. before long, Chuck followed in his father`s footsteps. He took boxing lessons from an early age, and as he grew older, his devotion to this noble art saw him become a part of the New York Golden Gloves tournament. As his body became buffed from all the practice, he decided to try something new, and was hired as one of the bodyguards for actor Robert Conrad. Encouraged by that experience, Chuck started his own bodyguard agency, called Charlie’s Angels Bodyguard Services. His first client was none other than Lorna Luft, who then recommended his services to Liza Minnelli, her half-sister. Since then his career has gone only upwards, and so has his net worth. He soon earned a name for himself in the Hollywood area, which enabled him to work as a stuntman, and later as an actor. His first appearance in front of camera came in the film “Nowhere to Run” (1993), which was followed by appearances in films “Carlito’s Way” (1993), “Bad Blood” (1994), and “Heaven’s Prisoners” (1996), but those were only brief roles. His career took a turn for the better in 1998, when he was selected for the role of Chucky Pancamo in the TV crime drama series “Oz”, created by Tom Fontana, and starring J.K. Simmons and Lee Tergesen. After that, he found engagement in the film “Man on the Moon” (1999), directed by Milos Forman, starring Jim Carrey and Danny DeVito, a biographical film about comedian Andy Kauffman, and in 2000 had a role in the film “Table One”. Three years later he appeared in the film “This Thing of Ours”, and in 2005 he had several brief appearances in films “Tinsel Town”, “Searching for Bobby D”, and “The Signs of the Cross”. His net worth was rising steadily. Chuck continued successfully with his career in the second half of the 2000s, appearing in such productions as “The Young and the Restless” (2006), “Entourage” (2007), and “Under New Management” (2009), all of which increased his net worth. He became more and more dedicated to acting, and in 2012 he appeared in the TV series “Sons Of Anarchy” as Frankie Diamonds, and then in 2014 appeared in the film “Reach Me”. Most recently, Chuck has several projects on which he is working, including shooting the films “House Rules”, “Saturday in the Park”, “Fight Valley 2: Lockdown”, and “Cops and Robbers”, all of which are yet to be released, however, his net worth will certainly benefit from engagement in those films. Chuck is also a big motorcycle fan, and has started his own motorcycle club. Rochelle Motorcycle Club, and later joined the Ching-A-Ling Nomads. However, that didn`t last long, as he became a part of the Hell`s Angels in 1980, and in 1984 started the Hells Angels New York Nomad Chapter, being its president until 2005, when he decided to leave the gang and focus more on acting. Regarding his personal life, Chuck was married to Kathy, his high school sweetheart, but she left him apparently because of his biker lifestyle. Other details about his private life are unknown to the media. Nicknames Charles Zito Jr. , Charles Zito , Charles "Chuck" Zito, Jr.
1 He and Luis Guzmán are the only actors to appear in both Carlito's Way (1993) and its prequel, Carlito's Way: Rise to Power (2005). 2 Originally auditioned to be a biker on the series, Oz (1997), however creator Tom Fontana felt he'd be a better fit with the Italians. 3 Attends all UFC events. 5 Bodyguard for Joan Rivers. 6 Has a Black Belt in Karate. 7 Was present at Lennox Lewis/Mike Tyson press conference brawl (2002). 8 Former bodyguard for Jean-Claude Van Damme, Mickey Rourke and Sylvester Stallone. 9 25 year member of the Hells Angels, leaving the club in 2004.